Who doesn’t love pancakes? After last year’s delicious Earl Grey pancakes, we’ve decided to give this February’s Tea of the Month a go – Turkish Delight Pancakes! Sweet or Savoury – what is your choice? In a small saucepan, bring the milk and the 2 teaspoons of Turkish Delight tea to a gentle simmer. Remove from the heat and let this brew for 5 minutes. Sieve Flour into mixing bowl, add and mix in the sugar. 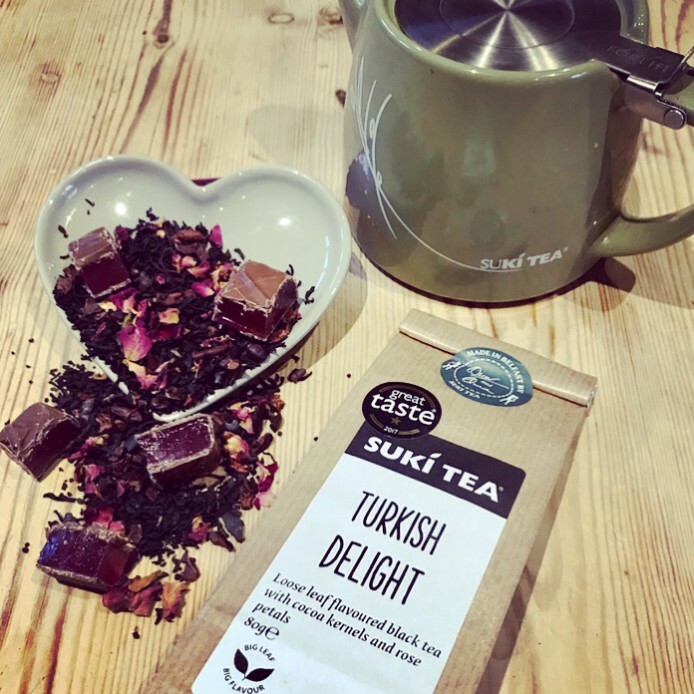 Once the Turkish delight has infused in the milk, strain the tea leaves through an infuser. Whisk the Turkish delight milk with the egg. Add the wet ingredients to the flour mixture slowly and mix until smooth. Let batter sit for 10 minutes. Heat up a non-stick frying pan over medium-low heat. Brush a thin layer of butter or oil on your pan. Drop the batter 1 ½ tablespoons at a time into the pan. Cook until tiny bubbles appear on the surface, about 2-3 minutes. Flip and continue cooking for 1-2 minutes. Keep the pancakes in the warm oven until you’re finished pancaking. Enjoy warm and be adventurous with your toppings! Although I think Nutella is the only way to go here!! We’d love to see your Pancake stacks, whether you use tea in the recipe or just enjoy a cuppa with your pancakes.